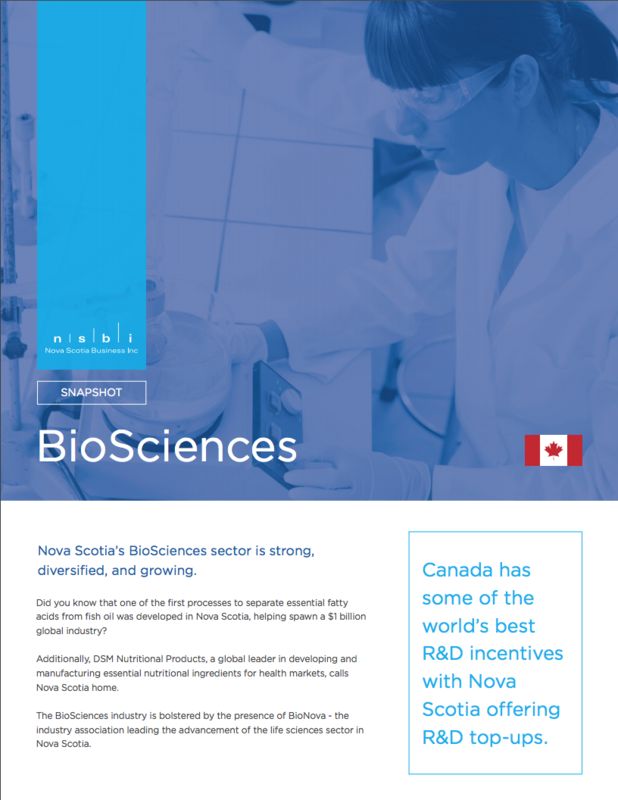 Life Sciences | Nova Scotia Business Inc.
Nova Scotia offers a unique combination of established Life Sciences companies, access to talent, and business support mechanisms. These knowledge-based assets are also complimented with great access to logistics. 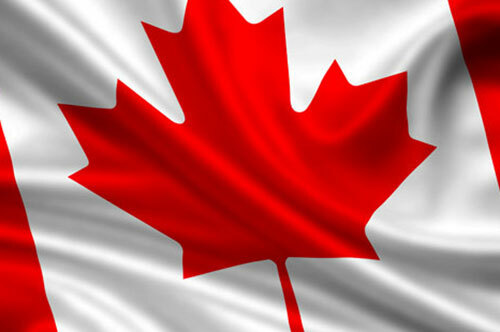 Nova Scotia is known as a world leader in omega-3 fatty acid supplements. Nature’s Way Canada has the largest share of Canada’s omega-3 market and DSM Nutritional Products, located in Mulgrave, Nova Scotia, is the world's largest manufacturer of concentrated fish oil. Acadian Seaplants is the world’s largest independent manufacturer of marine plant products and is exporting to more than eighty countries. As a centre of excellence in health research, the QEII Health Sciences Centre in Halifax, Nova Scotia, is the largest teaching hospital and adult academic health sciences centre in Atlantic Canada. BioMedica Diagnostics is a leader in the provinces’ large medical technology area, impacting patients in more than 60 countries. Immunovaccine Inc. is poised to revolutionize immunotherapy and has an estimated CAD $260 million market cap. With the life sciences sector in Nova Scotia identified as one of the largest opportunity areas for economic growth, our scientists are doing world-class R&D and have access to state-of-the-art incubator facilities. 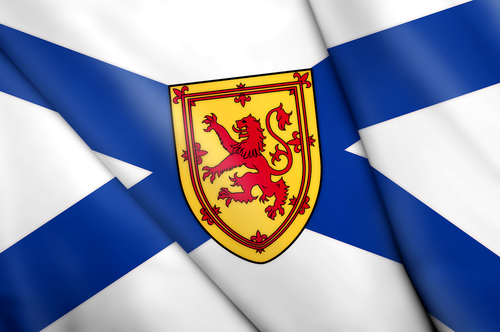 Nova Scotia is Canada’s university capital, home to 10 universities and 13 community college campuses. The province boasts an educated workforce and of its total population, 59% has post-secondary education. Looking within the life sciences sector specifically, this number rises to 81%. The life sciences sector directly employs 3,600 of these highly skilled people; 1300 within the private sector and 2,300 in federal institutes and post-secondary institutions. Nova Scotia is home to many academic, research and economic development facilities focused on supporting and growing a thriving life sciences sector. Government, academia and commercial partners come together in Nova Scotia to promote business, build lasting research partnerships, and introduce companies to new markets. Download our life sciences infographic! BioNova leads, accelerates, and advocates for Nova Scotia’s growing health and life sciences sector. 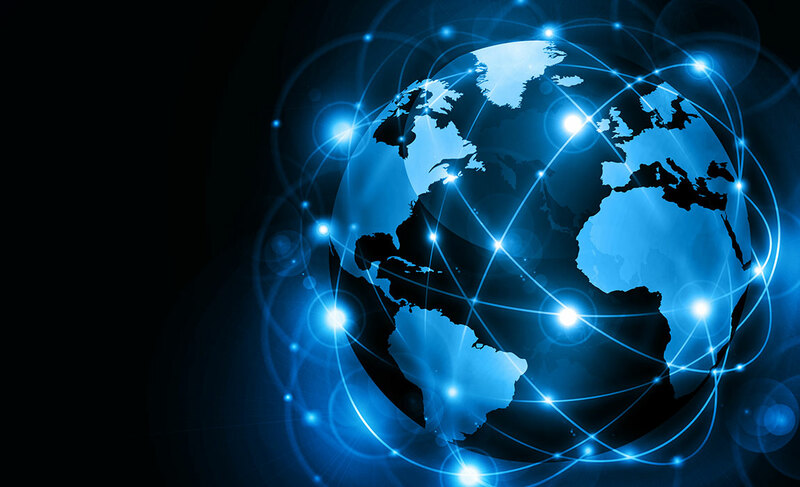 By hosting networking and educational events, and providing connections to potential funders and business resources, BioNova helps companies succeed. While these companies commercialize life-changing research to improve healthcare, provide healthier food, and develop clean energy solutions, BioNova advocates on behalf of the sector. 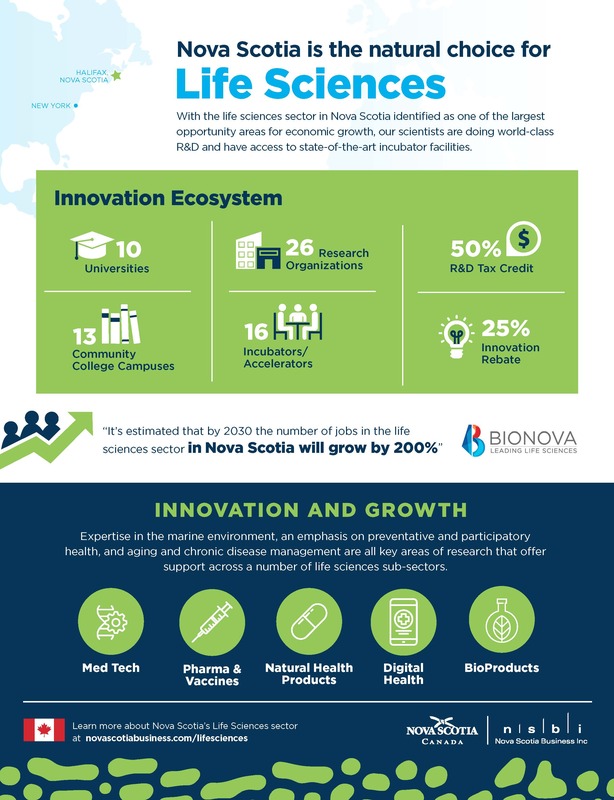 BioNova champions the sector’s cluster of world-class research facilities, incubator programs, and companies who, together, bring investment and jobs to Nova Scotia. A Crown Corporation, Perennia is a not-for-profit corporation with the mission to help farmers, fishermen and food processors be prosperous and profitable. They offer expertise in research, marketing and product development for products from the food sector – using waste streams and raw ingredients. Dalhousie University is one of Canada's leading research institutions with more 50 research chairs, and is the largest university in Atlantic Canada. Dalhousie University Medical School, a world-renowned, research-intensive institution, is home to some of the country's top researchers. Its research departments provide support for clinical and applied research projects at the QEII Hospital. Main areas of research include cardiovascular, immunology, infectious diseases and neurology. The National Research Council has facilities in Halifax focused on improving diagnosis and treatment of brain illness, advancing the research and development of non-invasive technologies in medicine, and transferring R&D innovation to the clinical and commercial sectors. 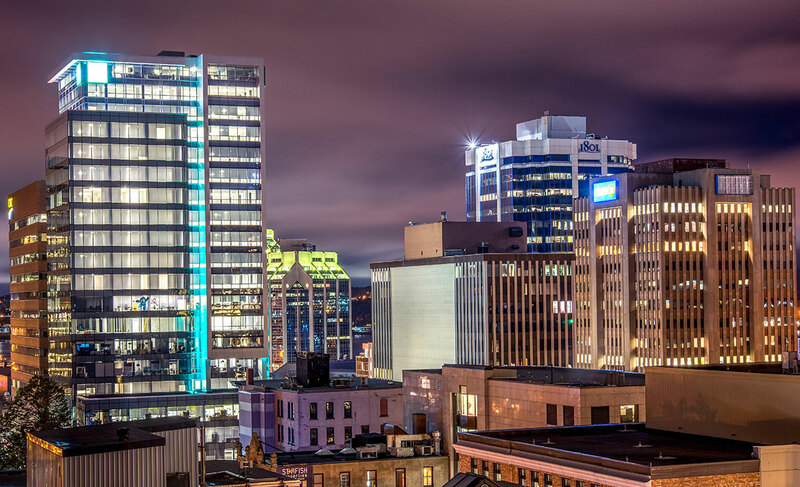 The Innovacorp Enterprise Centre in Halifax focuses on companies in the life sciences and clean technology industries and offers specialized lab and incubation facilities otherwise unavailable in the commercial real estate market. Opened in April 2011, this facility is part of the Life Sciences Research Institute, with proximity to universities, hospitals, a vivarium, the Brain Repair Centre, and the National Research Council. The LSRI is an integrated facility where scientists, students and entrepreneurs work together to improve the quality of health of Nova Scotians, Atlantic Canadians and those beyond our own provinces. The $70-million facility hosts Innovacorp, BioNova, Dalhousie Faculty of Medicine, the Brain Repair Centre, and more than 100 researchers. Talk to us about the advantages and support available to grow your business here! How does a radio transmission company in Nova Scotia reach 50 years of operation? Just ask Nautel. Webbuilders Group CEO Rob Roy is, unsurprisingly, in the web building business. What is surprising is where this small New Glasgow-based company finds its clients, how it makes them happy, and what the future looks like. Iris Booth creator Sue Siri is using a one-of-a-kind business model to take her unique professional photo booth global. It’s hard to pick a single year out of centuries of living and working on the ocean, but future Atlantic Canadians may look back on 2018 as one for the books in ocean technology. Catching up with NSBI trade strategists, we narrowed down the top trade deal updates you need to know. We spotlight one of this year's featured resolutions: incorporating e-commerce into your business. Since Tidal Bay's official launch in 2012, the Nova Scotia signature blend has been helping the region’s wine industry find its niche. Nova Scotia has everything you need to produce a wide range of crops, including forages, fruits, vegetables, and grains. Nova Scotia's clean technology industry attracts considerable international attention, with its expertise in energy monitoring related technologies and access to natural resources. Nova Scotia’s oceans industries are diverse and produce innovative products and services in Marine Defence & Security, Marine Transportation, Fisheries & Aquaculture, Energy, and Ocean Science.